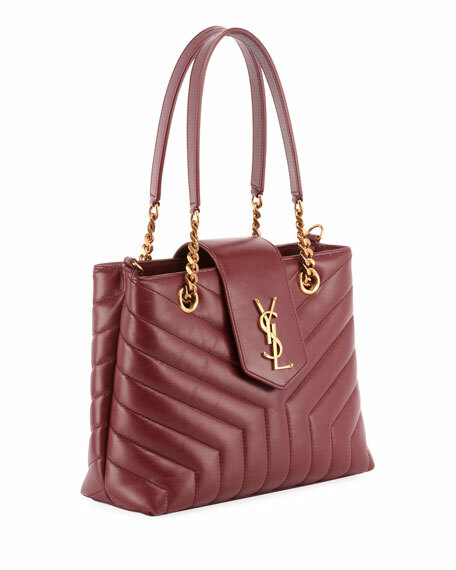 Saint Laurent "Loulou" quilted calf leather tote bag. Leather and chain tote handles. Detachable, adjustable shoulder strap, 21.6" drop. Magnetic tab with YSL medallion. 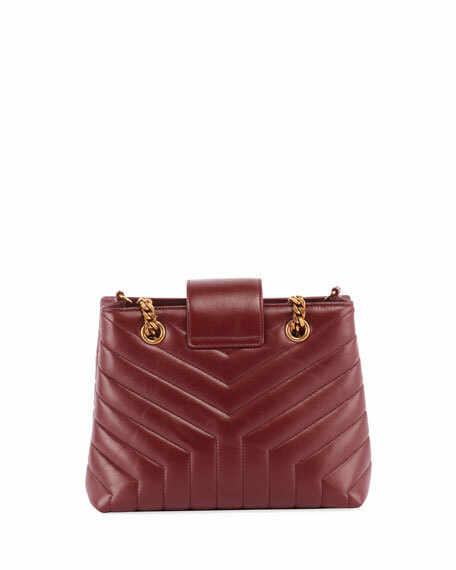 7.9"H x 10.6"W x 4.1"D.
kate spade new york tote in grosgrain leather, featuring enamel spade detail. 14k light gold plated hardware. Flat top handles, 9.5" drop. Open top with dog-clip closure. Microsuede interior, detachable pouch pockets. 20.1"H x 16.9"W x 15.4"D. Imported.